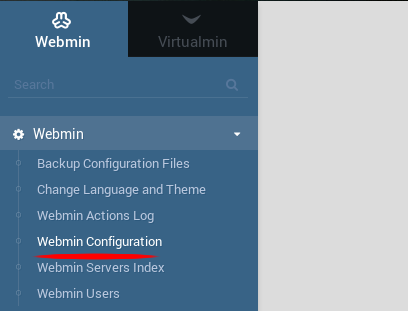 The tutorial was prepared with our "CentOS 6 + Webmin" template and is meant to work on our self-managed virtual private servers. Fully updates server software (yum update). 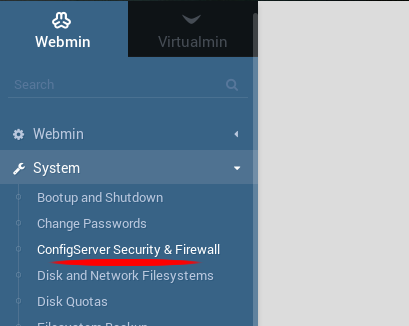 In "Webmin modules" select "From local files" and specify the path to module archive and isntall module. After these changes press the button "Change" at the bottom of the page and "Restart csf+lfd" afterwards. That it, now you have fully working ConfigServer firewall. For more information regarding CSF please visit their Read me page.